"Hally Hotel, 3 Star, No 11, Bimeh Alley, Sepahbod Qarani Street Hali is one of the old hotels of Tehran, aging 64 years. The hotel is on Qarani street which makes access to major organization, hospitals, cinemas, halls, historical landmarks, and museums easy. 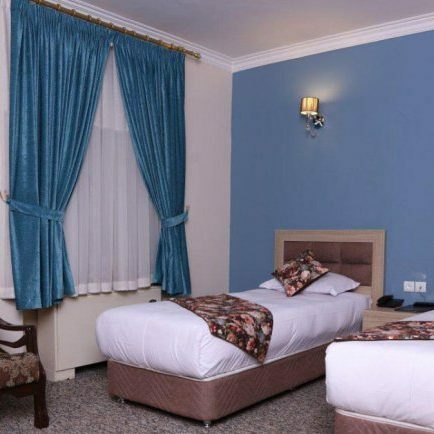 When you stay at Hali, you’ll be close to Karimkhan Street, Artists Forum, Iranshahr Theater, art galleries, as well as Enqelab and Taleqani Streets. Rooms have a nice view of the older Tehran, and various metro and bus lines can take you anywhere in the city. "